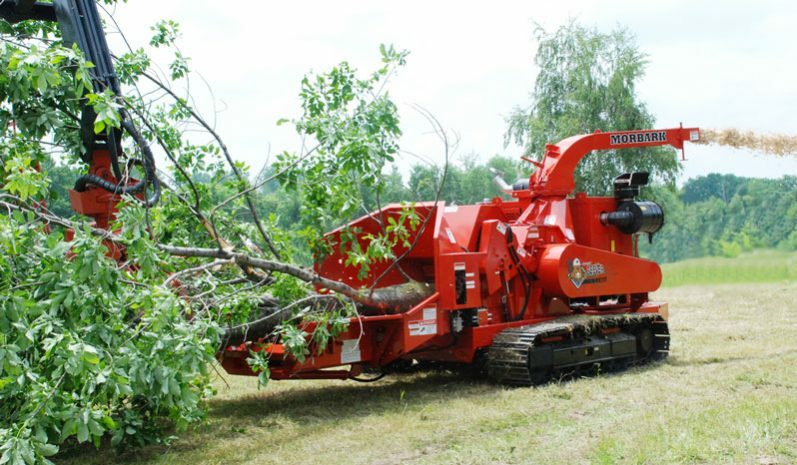 The Beever™ M20R Brush Chipper is ideal for entry-level biomass production, lot and land clearing contractors, contractors and large tree services. This high-capacity, high-production chipper has more standard features than any other chipper in its class and is offered in a variety of configurations for incredible versatility. Height 10 ft. 1.5 in. Width 8 ft. 5.5 in. Fuel Tank Capacity 65 gal. The 36 in. diameter x 29-1/8 in. wide, 6-knife staggered-pocket cutting system with patented removable knife holders increases chipping capacity. Bearing-style pivot assembly contours the radius of the drum, increases down pressure efficiency and reduces feed wheel dead space. 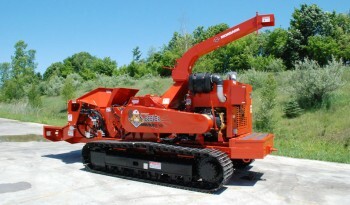 The reversing auto-feed system with Auto Sense™ controller briefly backs material away from the drum for reduced wear and optimum engine performance while chipping. 7-gauge split fuel and hydraulic reservoirs with shut-off valves reduce risks of vibration damage and cross-contamination while allowing for easy maintenance.